Just as her Grammy Award-winning debut, 19, was named for the age she was when she wrote it, electric soul singer Adele Adkins returns a couple years later, fittingly, with 21. But though the title may imply some sort of maturation from her first album, 21 only provides continuations of the themes, both musical and lyrical, that 19 offered. This isn’t necessarily a bad thing—it definitely fulfills the expectations of her fans—but surprises are indeed in short supply. Initially this doesn’t seem like a problem because the album is front-loaded with many of its best songs. The brilliant, stomping “Rolling In The Deep,” with its soaring, explosive chorus, sets the bar very high, a bar, unfortunately, that the rest of the album doesn’t quite ever reach. Granted, a few songs come close, especially the insistent, Ryan Tedder-penned “Rumour Has It,” and are solid, potential singles. Yet, despite a few standouts like the spare “Take It All” and the passionate closer “Someone Like You,” 21 loses momentum in its second half as unmemorable mid-tempo rockers and ballads start to take precedence. Even the bossa nova re-imagining of The Cure’s “Lovesong,” though pretty, is far less interesting than that description makes it seem, too relaxed and restrained to maintain any real emotional heft. And as the arrangements become less inspired, more light is cast on the lyrics, which almost uniformly deal with yearning for a lost lover, something that grows tiresome and repetitive over the course of an entire record. 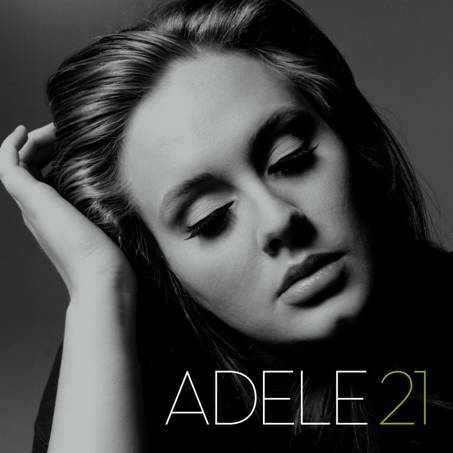 Luckily, what saves even these tracks from mediocrity is once again Adele herself and her endlessly impressive voice. Her emotive delivery, from belting to whispering, greatly improves these otherwise lacking songs, ones that would be a chore to listen to in a lesser singer’s hands—or, I guess, throat. This is undoubtedly a fine follow-up, one that will please her fans and attract plenty of new ones, but one hopes that next time around, Adele has a set of songs that are worthy of her enormous vocal talent.